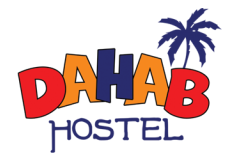 Dahab hostel has been successfully in the tourism business in Cairo since 1998. We have developed reliable contacts in tourism throughout Egypt. Since we are the best budget hostel in Cairo, we organize reasonably priced tours to the most interesting sights in Egypt. Our aim is to allow our guests to save time, effort and money. By booking their budget tour with us. Travel to Egypt hassle free! Starts early in the morning, ends afternoon. .Departure from Cairo at midnight by Local Bus or Private air-conditioned bus to Dahab city. It takes around 8-9 Hrs.